One of these following facts about Tennessee Williams might give you much information about him. 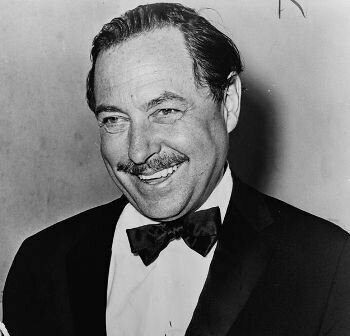 Tennessee Williams was an American playwright, author of many stage classics. After years of obscurity, he became suddenly famous with The Glass Menagerie (1944), closely reflecting his own unhappy family background. This heralded a string of successes, including A Streetcar Named Desire, Cat on a Hot Tin Roof, Orpheus Descending, and Sweet Bird of Youth. His later work attempted a new style that did not appeal to audiences, and alcohol and drug dependence further inhibited his creative output. To get to know more about him, here are some other facts about Tennessee Williams you might be interested in. Williams adapted much of his best work for the cinema, and also wrote short stories, poetry, essays and a volume of memoirs. In 1979, four years before his death, he was inducted into the American Theater Hall of Fame. Thomas Lanier Williams III was born of England, Welsh, and Huguenot descent, in Columbus, Mississippi, the second child of Edwina (née Dakin) and Cornelius Coffin (C.C.) Williams.His father was a hard-drinking traveling shoe salesman who spent most of his time away from home. His mother, Edwina, was an archetype of the ‘Southern belle’, whose social aspirations tilted toward snobbery and whose behavior could be neurotic and hysterical. When Williams was eight years old his father was promoted to a job at the home office of the International Show Company in St. Louis, Missouri. His mother’s continual search for what she considered to be an appropriate address, as well as his father’s heavy drinking and loudly turbulent behavior, caused them to move numerous times around the city. He attended Soldan High School, a setting he referred to in his play The Glass Menagerie. Williams’ writings include mention of some of the poets and writers he most admired in his early years: Hart Crane, Anton Checkhov (from the age of ten), William Shakespeare, D.H. Lawrence, August Strindberg, William Faulkner, Thomas Wolfe, Emily Dickinson. Throughout his life Williams remained close to his sister Rose who was diagnosed with schizophrenia as a young woman. In 1943, as her behavior became increasingly disturbing, she was subjected to a lobotomy, unfortunately with disastrous results, and was subsequently institutionalized for the rest of her life. As soon as he was financially able to, Williams had her moved to a private institution just north of New York City where he often visited her. On February 25, 1983, Williams was found dead in his suite at the Elysee Hotel in New York at age of 71. The medical examiner’s report indicated that he choked to death on the cap from a bottle of eye drops he frequently used, further indicating that his use of drugs and alcohol may have contributed to his death by suppressing his gag reflex. From February 1 to July 21, 2011, to commemorate the 100th anniversary of his birth, the Harry Ransom Center at the University of Texas at Austin, the home of Williams’ archive, exhibited 250 of his personal items. The exhibit, entitled “Becoming Tennessee Williams,” included a collection of Williams manuscripts, correspondence, photographs and artwork. Characters in his plays are often seen as representations of his family members. Laura Wingfield in The Glass Menagerie was understood to be modeled on Rose. Some biographers believed that the character of Blancge DuBois in A Streetcar Named Desire is also based on her. The Pulitzer Prize for Drama was awarded to A Streetcar Named Desire in 1948 and to Cat on a Hot Tin Roof in 1955. These two plays were later filmed, with great success, by noted directors Elia Kazan (Streetcar) with whom Williams developed a very close artistic relationship, and Richard Brooks (Cat). Both plays included references to elements of Williams’ life such as homosexuality, mental instability, and alcoholism. Hope you would find those Tennessee Williams facts really interesting and useful for your additional reading.